Surestep and Safestep are Forbo Flooring's offer in slip resistant vinyl. The collection is slip enhanced with carborundum or aluminium oxide particles providing an R10 to R12. 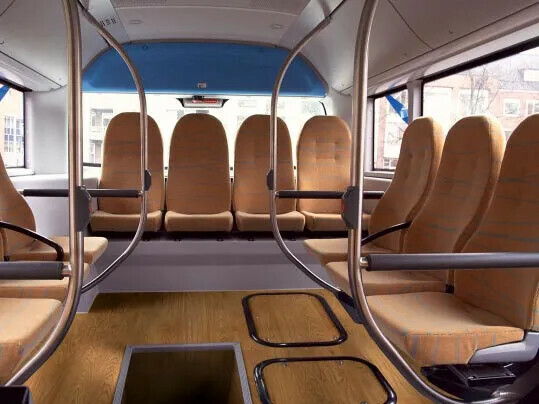 The Wood and Stone designs look good in luxurious coaches and for creating warm and user-friendly areas in buses. 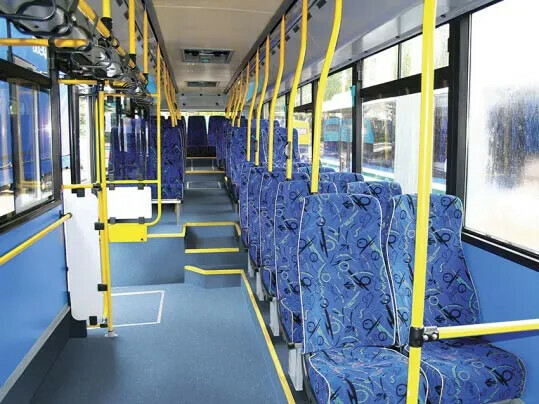 With a wide colour palette and high durability for many types of transport applications. A unique, flocked floor covering that looks and feels like a carpet but with straight fibres making it as easy to clean as a resilient floor covering. Flotex has a smooth, velour like surface that is comfortable to walk on, with excellent slip resistant properties. 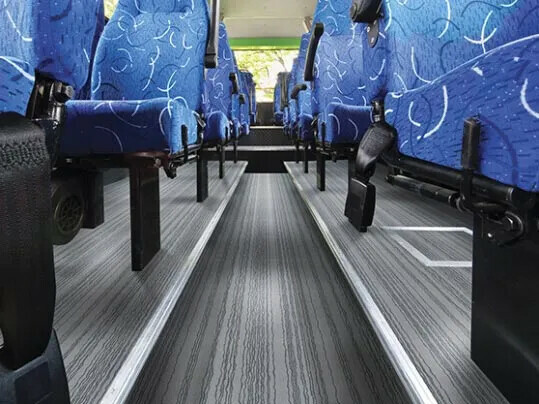 Flotex is made up from a solid vinyl, reinforced base with a densely flocked surface of nylon 6.6. fibres, that are anchored firmly into the base layer. Our Flotex HD collection is digitally printed, offering over 500 designs as well as complete custom design possibilities. The collection presents a balanced range of wood-, stone- and abstract designs, alongside with a comprehensive, modern colour palette that complements your interior design. A good quality entrance matting system provides a very effective way to reduce costs of cleaning, repair and maintenance. 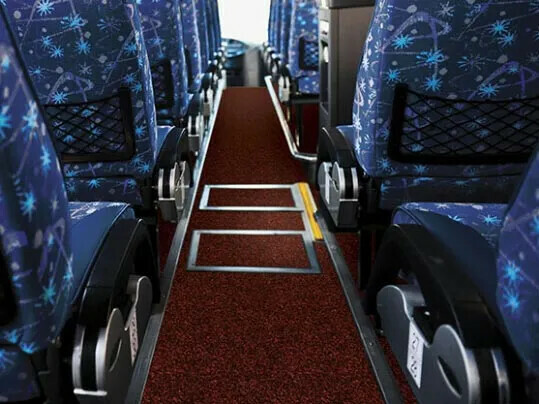 By stopping up to 94% of walked in dirt and moisture Coral can reduce cleaning costs by up to 65% and prolong the life of interior floor coverings. 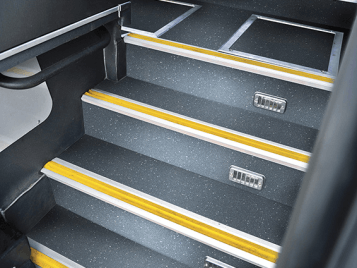 Coral also helps to prevent slip and trip hazards and is ideal for vehicle entrances and steps.